When I was 14 and became, a youth "Granger", I was taught the word: "FAFRLSM". I quickly learned that this "word" meant: "F"-Fellowship; "A"-Activities; "F"-Fun; "R"-Recognition; "L"-Leadership; "S"-Service and "M"-Membership. Just like it did 45 years ago, when I joined the Grange, "FAFRLSM" is still what the Grange means to me! 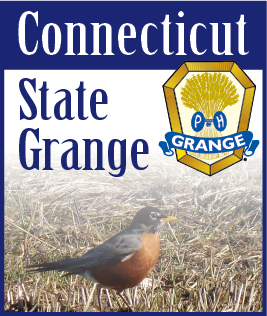 The Grange provides "Fellowship" with friends, "Activities" that are family "Fun", "Recognition" programs, unending "Leadership" opportunities; "Service" to our communities that can and should promote "Membership". "FAFRLSM": A made-up word from long ago that still applies today. How many of you remember this word? It really does apply to the Grange today. As we hold our Grange Christmas Parties and visit Convalescent and Nursing homes to bring cheer to the residents as part of our Auld Acquaintance programs remember this word from long ago and put it to use. Make your programs full of fun and fellowship. Show your leadership skills. Invite friends to share in our activities and hopefully this will lead to an increase in membership. Lecturers are an important part of the Grange. Let's all put our best efforts into making this year special. May all of you have a happy and healthy Holiday season surrounded by family and friends.